Conceição Costa has a PhD in Communication Sciences from New University of Lisbon (FCSH-UNL), working as a researcher at CICANT and as an Assistant Professor in the School of Communication, Arts and Information Technologies of Lusófona University (ECATI-ULHT). Her main area of research is the promotion of media literacy in children and youth. She was a member of COST Action ISO906 (2010-2014) and author of several European publications on media literacy and media education. 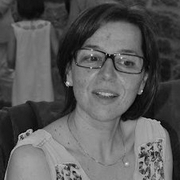 Currently she is the principal investigator of the Gamilearning project (UTAP – ICDT / CVI-ESCT / 0020/2014) funded by the Foundation for Science and Technology, under the Portugal-Austin program and coordinator of the Portuguese team of researchers in ERASMUS+ ECFOLI.